Slow Magic‘s newest 13-track EP, Float, is exactly what I need to get through a long day of work where I’m staring at my computer aimlessly. 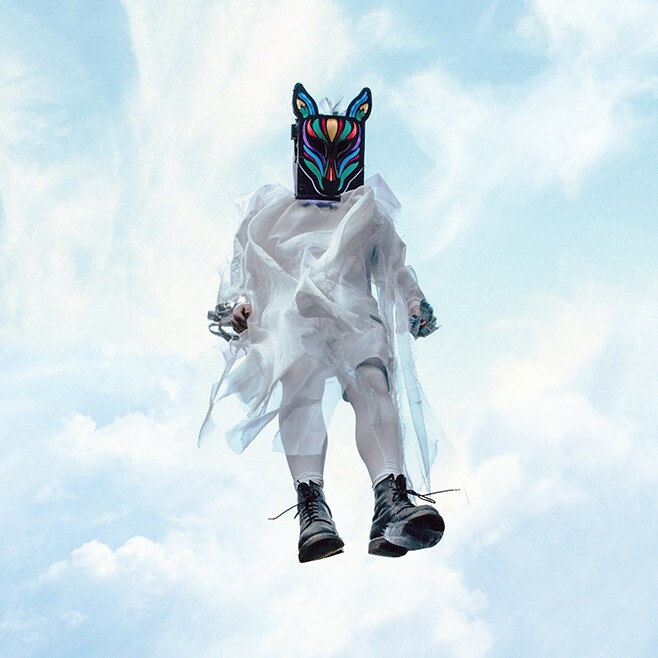 If you are not familiar with Slow Magic, he is known for staying hidden beneath a neon zebra mask, where he makes instrumental electronic music that can be quite mesmerizing and packed with unique forms of percussions, rhythms, and synths. According to Slow Magic, work on Float began during a trip to Iceland. Slow Magic cites the surreal change in light that far north as an inspiration for this album. The album begins with “Valhalla” and ends with “Relent,” perfect ways to begin and end an EP, slowly taking you in and slowly fading you out. “Mind” features Kate Boy, a Swedish synth duo from Stockholm. They add a lot of depth to the synth beats in the song and make it a happy dance track with a lot of levels of complexity as well as a peacefulness. This was also the first time that Slow Magic introduced vocals onto a track. “Skelton Pink” comes in with a drum beat, as if a marching band should be expected behind you, but then the electric melody comes along and creates something completely different and unexpected. “Belong to Me” has the most to offer on the album, the vocals fit in well with the drum beats and synth. Everything melts together in a harmonic melody that reminds me of being above everything, literally floating. “Light ft. tropics” is also very ethereal and keeps the album fresh and from getting monotonous so deep into the track list. The album is a short 42 minutes, yet you are guaranteed to find a song that speaks to you within that short time. In a way, it is hard to describe electronic music because it feels different to everyone. That is the challenge alone in making good electronic music and something that I believe Slow Magic has captured. This album encompasses the difference in many people’s personalities and leaves a track for each person, whether you are a fan of electronic music or not.